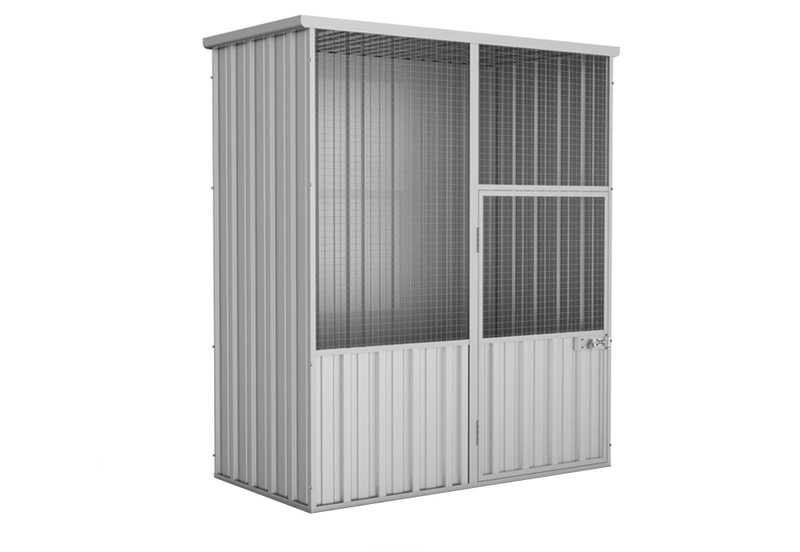 One of the best-value aviaries you’ll find! 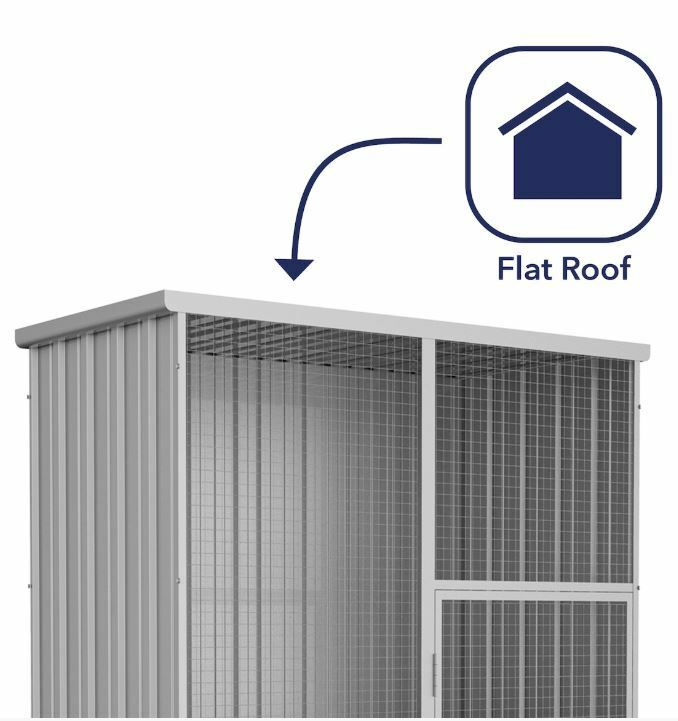 It’s a compact, flat-roofed aviary that’s easy to assemble and maintain. 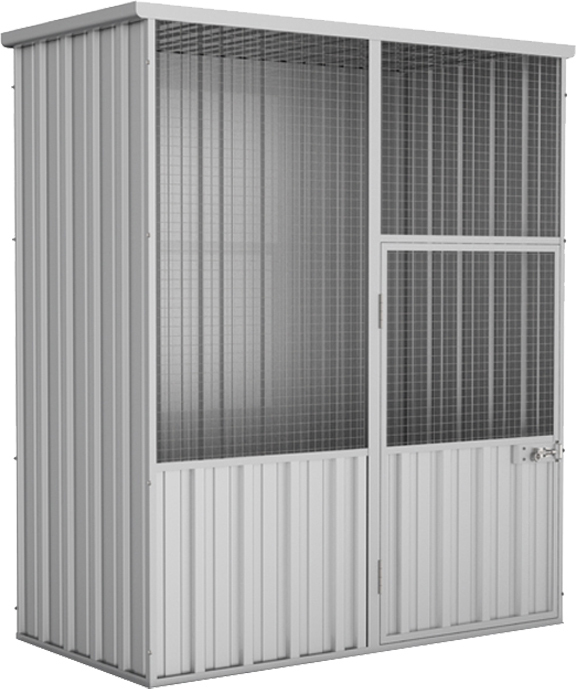 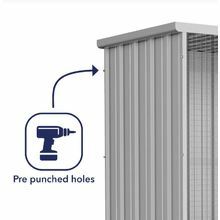 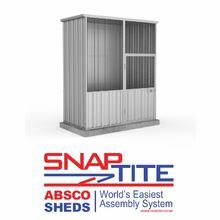 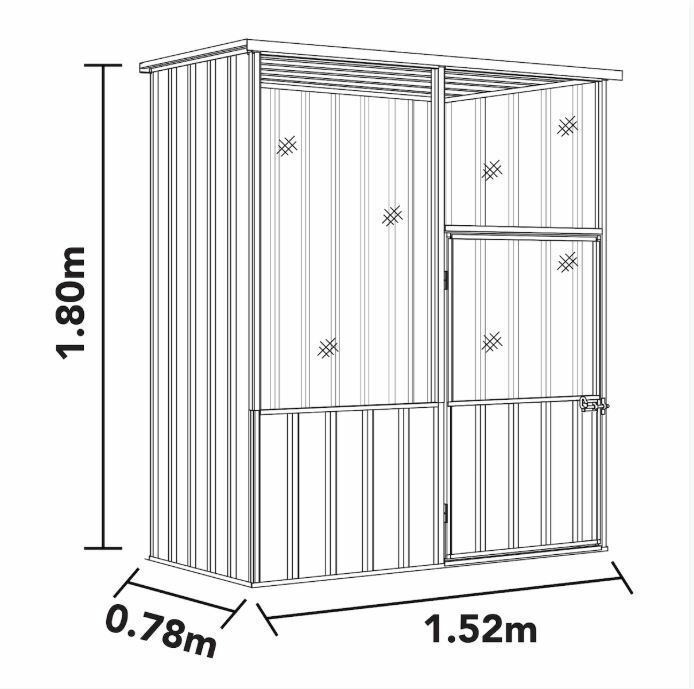 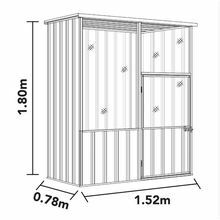 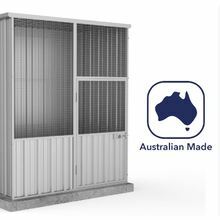 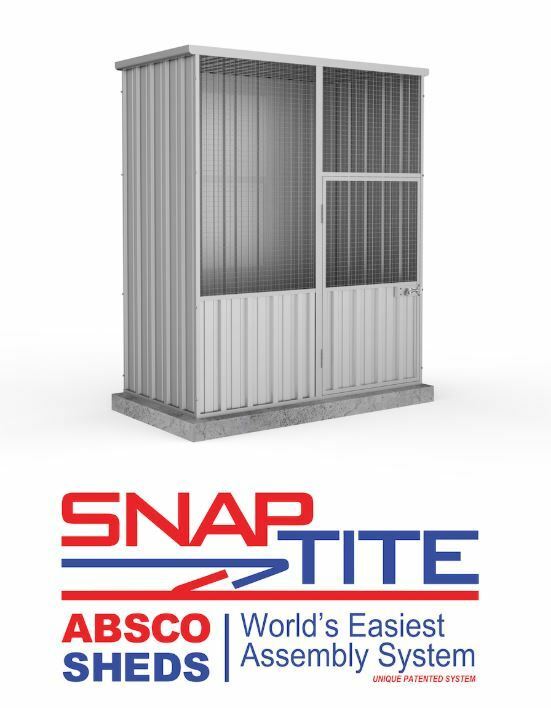 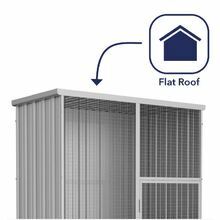 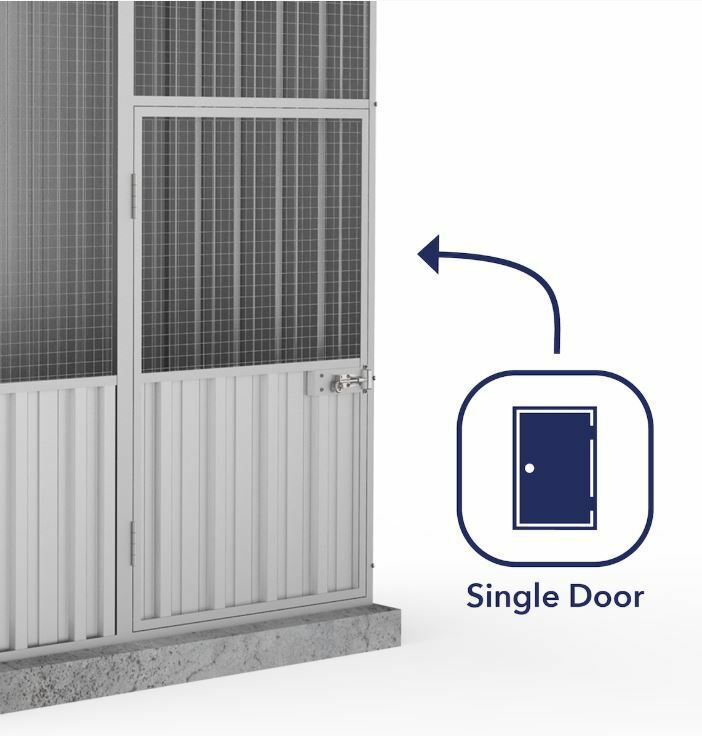 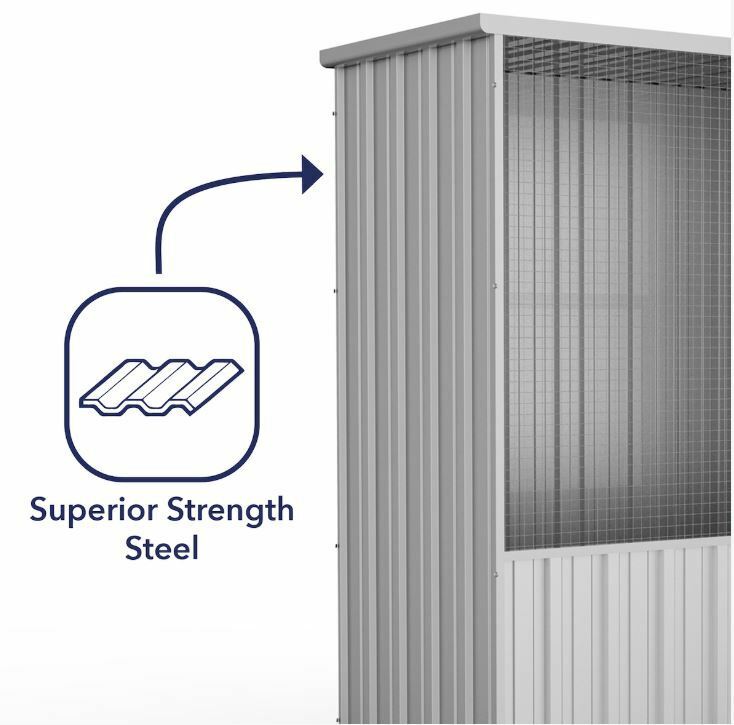 Made of corrosion-resistant, non-combustible Bluescope Zincalume, this aviary can last for years without needing any major maintenance job. 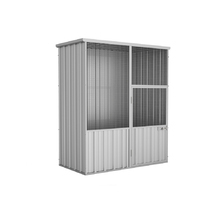 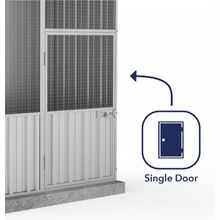 This all-steel, no-frills aviary is slim enough to fit in small patio corners. 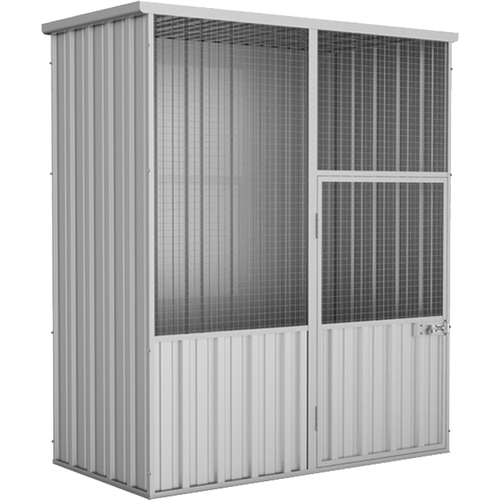 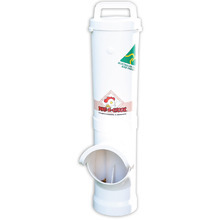 It features wide mesh panels to give you a good view of your feathered pet.